Last week I placed a bid on a zebra print rug on Marktplaats, the Dutch equivalent of eBay. In fact; eBay owns Marktplaats. I bought heaps of stuff from there already and always advice clients to check the many many ads for great finds and pieces. The seller of the rug only had a slightly odd picture up, but after he accepted my 30 euro bid I decided to go for it. I now obviously hope it’s the gorgeous classy rug I envision. A few images to get your creative juices flowing. I love how the rug brings the whole room together in this picture. In this picture the zebra print proves to be a great alternative for a kelim, almost bringing an African flair to a classic room. 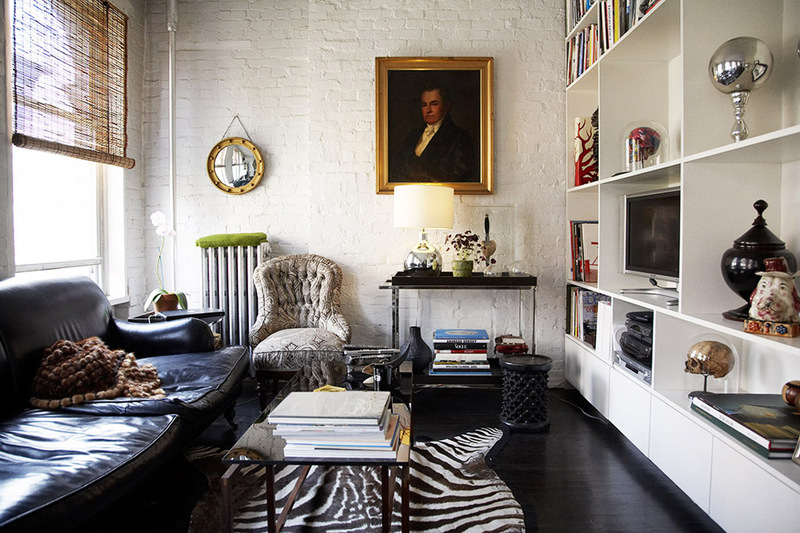 Here the graphic pattern of the zebra stripes accentuates the timeless design pieces in this room. I absolutely love the vintage and bohemian feel of this room. In this case the (fake!) zebras rug is shaped like the hide would be. That’s a great sofa too. Oh, and that chair…. wow… great room! Check out my zebra moodboard on Pinterest. 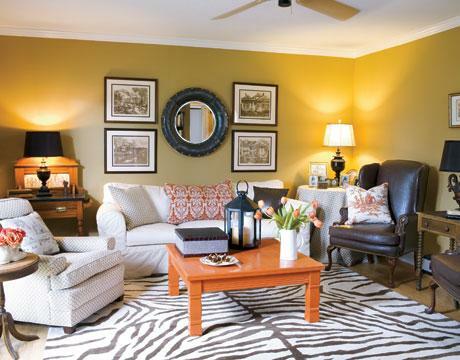 Oh, and if you want to go crafty on your home, here’s a wonderfully simple trick to create your own zebra print rug!